Whether for a few hours while mom and dad remind themselves about the phenomena called “date night,” or on a daily basis for school and childcare, children can suffer from separation anxiety. Their tears can tug at your heart. First of all, reassure yourself that children are not hurt, physically or emotionally from momentary crying. Crying is an early coping mechanism that helps the very young to express emotion and eventually soothe themselves. As children grow older we want to help them to develop other ways to cope with being sad, tired, or afraid. This is teaching your child emotional self-regulation—a wonderful life skill. It is quite normal for infants to cry at times of separation. An infant is showing that she is aware of what is happening and is a bit worried about the outcome. 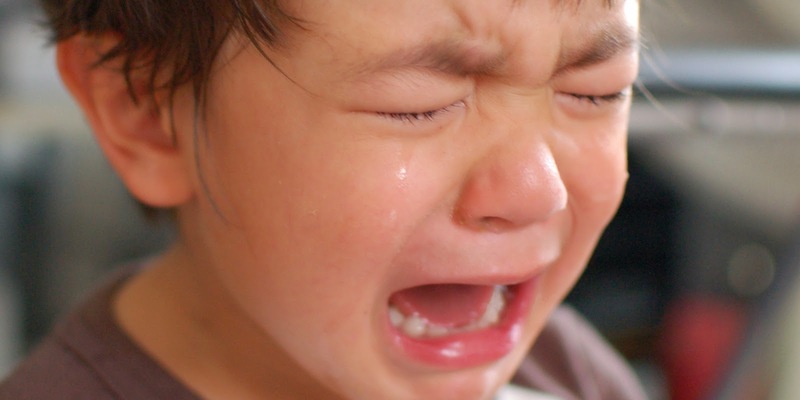 Infants rarely cry for very long after the transition has taken place. Stay calm, give a kiss, and hand over your sweet one to the caregiver. Over time, baby learns the routine and learns to stay calm. For older children crying during transitions, it is time to do some direct teaching regarding more appropriate coping skills. Look your child in the eye and let him know that crying is for when we are hurt, sad or in danger. Assure him that he need not feel any of these things here, because you know he is safe. Then ask him to look around the room and pick an activity that will help him to feel better. Resist the temptation to comfort your child. There is no need to give him the impression that he has reason to be afraid. Your empathy and encouragement are enough.